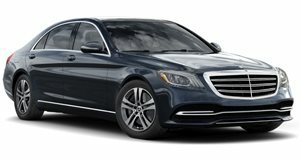 Expected to cost more than two S600s. In the spy shots we recently showed you, the Maybach S Class sports epic dimensions, adding about 7.5-inches to the already stretched, long-wheelbase S. In this price range, Mercedes will be taking on some tough competition from well-established luxury brands like Rolls Royce and Bentley. As Reuters points out, since 2012 – when Maybach ceased operations – there are two million new millionaires in the world. Certainly several of those individuals will be excited to flaunt some of that cash with a Maybach limousine in their garage.